In the good old days, when you wanted to check your air pressure in your tire, you had to get down on your hands and knees and check it yourself. Well the good old days are gone and modern cars and trucks will actually check it for you! They have what is called the tire pressure monitoring system. They will let you know when tire pressures drop to an unacceptable psi and also which tire is the culprit. Low tire pressure can cause the vehicle to pull to one side or the other and give a vague feel in the steering wheel. If you have any of these problems, get down to Elkhart Mechanics and they can make sure all the tires are in optimum condition. Many new cars automatically measure the pressure in each of the tires and let you know which ones need to be re-inflated. Inflating your tires is easy enough, as most gas stations have air pumps just for that purpose. If you do not keep your tires evenly inflated, which can very easily happen if your car does not automatically monitor its tire pressure, it can lead to additional wear and tear on other parts of your car. Even if you do have a tire pressure monitoring system, it might not alert you to a problem until your tires have lost a lot of air. Some tire pressure monitoring systems do not give you a low pressure signal until the tire pressure is 25 percent too low, but even tires that have 10 percent less than the ideal amount of pressure can cause problems. At Elkhart Mechanics, we do much more than just inflate tires. We can repair any problems that your faulty tires may have caused, and we can diagnose and fix problems with your car’s tire pressure monitoring system. Some tire pressure monitoring systems, the less expensive ones, monitor your car’s tire pressure indirectly, by measuring the revolutions per minute of each tire. Unequal pressure leads to unequal revolutions per minute, but the pressure difference has to be fairly significant for these systems to notice it. More expensive cars have tire pressure monitoring systems that measure the tire pressure directly. They do this through antennae built into the car’s wheel walls. Tire pressure is always in flux, and these systems send a signal every few minutes, displaying a reading on the dashboard of each tire’s pressure. Elkhart Mechanics is here to address all your tire pressure needs. 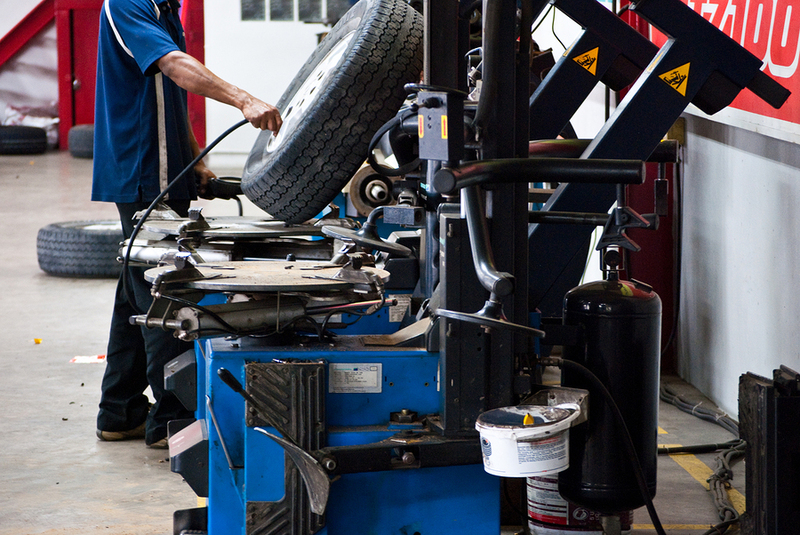 From simple rubber tires to the most sophisticated tire pressure monitoring systems, we can fix all of it.